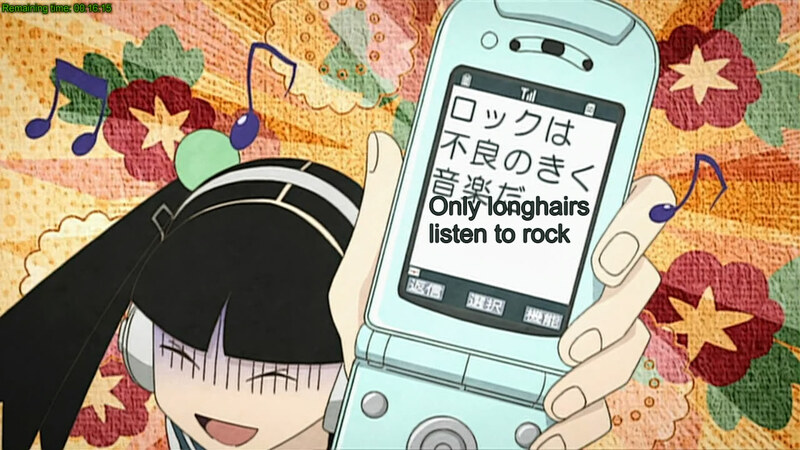 Current holder of ‘Anime of the Year 2009’ title. Our main protagonist, now biting puppy ears. Today when I want to write the review for this anime, only then I realized that my previous review for Needless is missing because of the server migration that happened nearly two weeks ago. Therefore it may seem that there are two reviews for today but actually there is only one of them. 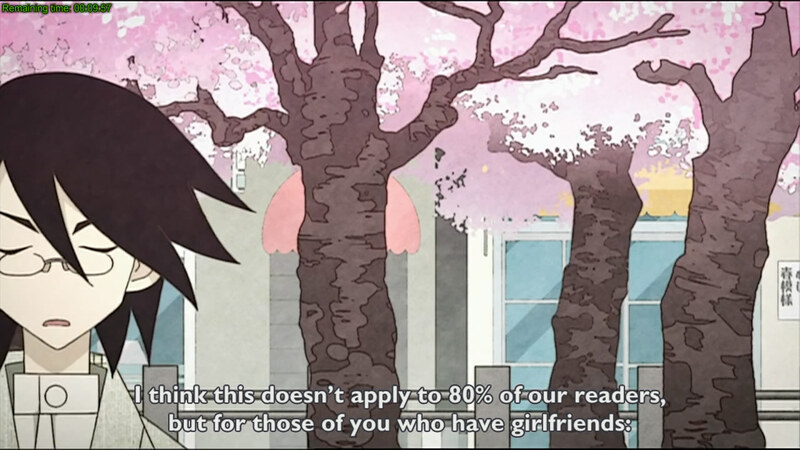 And that one would be for the third season of the Sayonara Zetsubou Sensei series, which follows the first and second season already reviewed in this blog before. 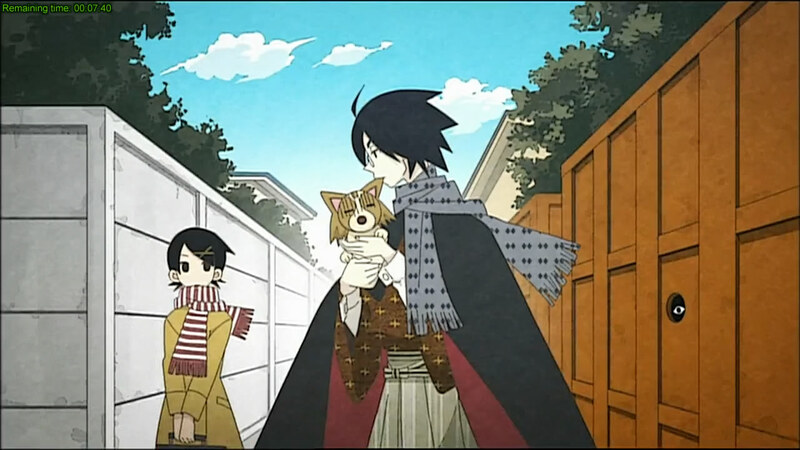 Titled Zan Sayonara Zetsubou Sensei, this 2009 anime will then compete with Wolf and Spice S2 for the ‘Anime of the Year 2009’ title. Compared to the first two seasons, this newest installment in this series will throw a nice surprise to you. Still the best character in this anime, even if her airtime was cut even further. In the third season, our main male protagonist has completely stopped being suicidal (he is afraid to die even), therefore his (mostly) female students doesn’t have to restrain him from finding the hangman noose anymore. 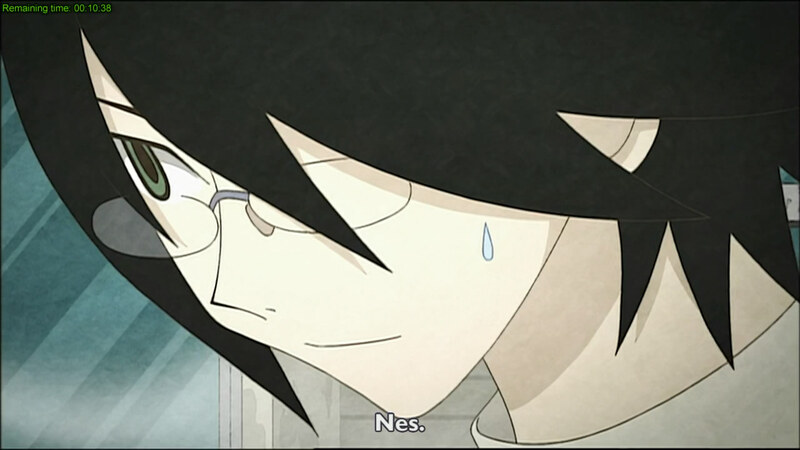 Nowadays all he does is complaining and despairing over many things, and his (mostly) female students followed suit. I somewhat miss the more flexible main protagonist that you can see in the first season. What you can see in the second season was carried into the third season (each episodes are divided into several chunks), but with some notable changes in presentation. In the third season, there are more long story arcs that are shown to the viewers in non-consecutive chunks (usually in different episodes). This approach was pioneered in the second season but are used far more extensively in this season. But what defines the third season over its two predecessors is that there are more good plots over bad ones. If the first season has 50:50 good:bad plots ratio and with second season may have a 40:60 ratio, the third season has vastly improved with 80:20 ratio. The third season is definitely the best installment in this series so far. 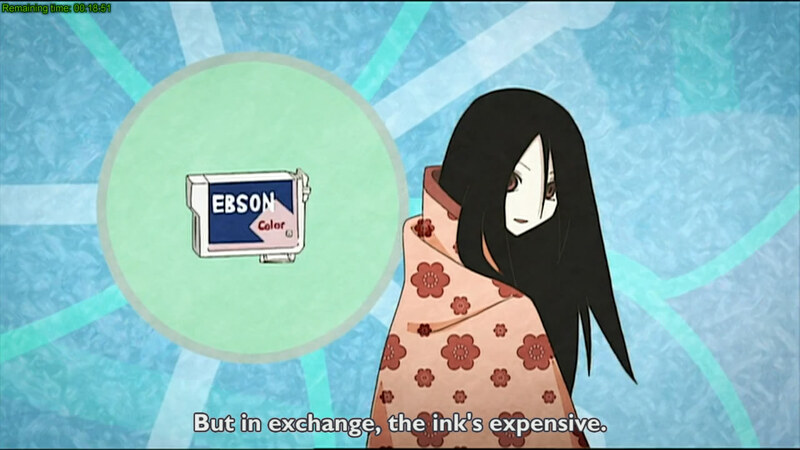 Epson/HP/Canon/Lexmark etc. 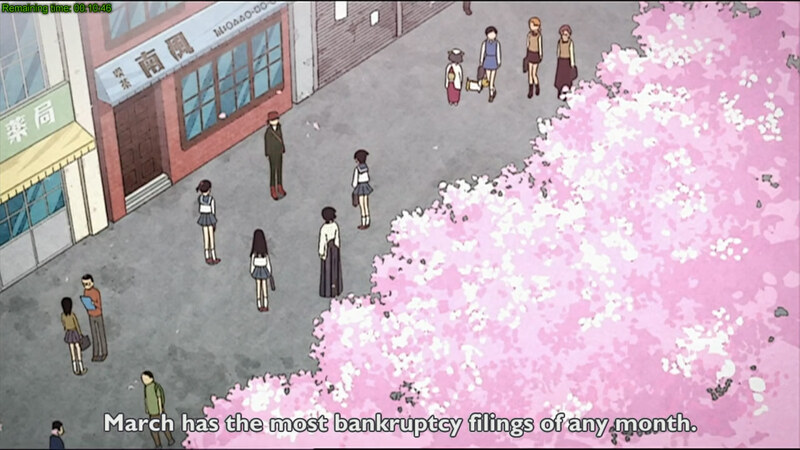 business practices thoroughfully explained and mocked in this anime. 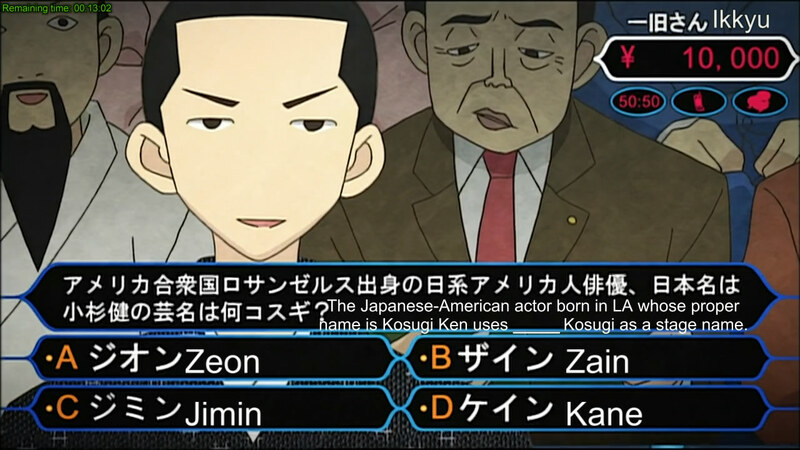 Taking a swipe at North Korea is this anime favorite pastime. Another presentation changes that are done in the third season is the pacing of this anime. The director probably have heard my complaints about the terrifying pace this series has and toned it down in this season. It is still fast compared to other anime titles, but between the three seasons, the one here is the slowest. Therefore I do not use the MPC-HC rewind combo button as often as I do in the first two seasons. 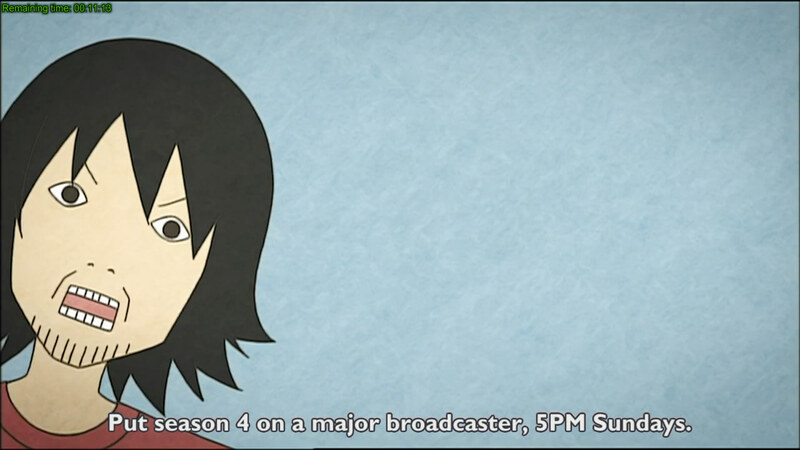 This anime can still be inaccessible to live TV watchers though, therefore time-shifting is a must. One of the best humor scenes in the entire series. Character developments was stalled in the second season, and little has happened in the third season that indicates that anything has changed. The only things I have seen is that the main protagonist now fears death (so far apart from the suicidal him in the first season) and the so-called class monitor has permanently become a murderous person. 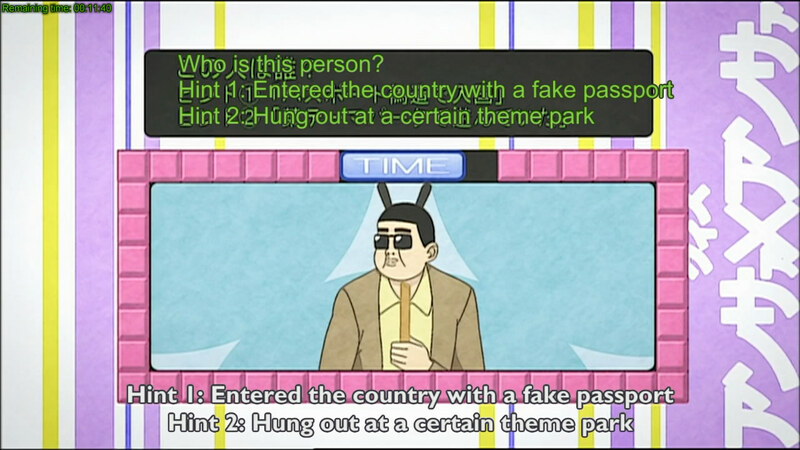 Our mobilephone-toting non-talking best character is still there, her airtime being cut even further. There are no actual ending I have seen in the last episode, just like it does in the second season. Will there be a fully deserved 4th season? Well, we have to just wait and see then. I hope a new season will come, not necessarily in that timeslot. My comment in the first season and second season review still applies. The best design belongs to the main male protagonist. Generally, this series are strong in this section. 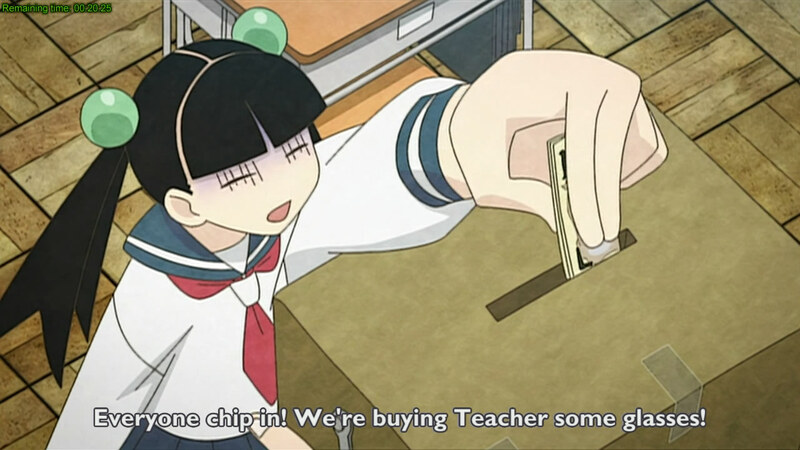 One of the many parodies in this anime. Another traditional stronghold for this series, my comment from first and second season still applies. The OST is still great as it is in the second season, but only the OP theme is good. Cannot say the same thing for the 2 ED themes. This show can be 'informative' too! For animation quality and choreography, my comment from the review of second season still applies. The director has changed some of the presentation aspects in this anime for the better, and staying closer with the original manga probably contributes to the better stories and humor in the third season too. Say hi to our newest ‘Anime of the Year 2009’ with its 10 out of 10 score. Simply better than Wolf and Spice S2. I never thought a despairing good-looking teacher with a huge harem he doesn’t take advantage of can take the throne from a beer-chugging wolf-girl. I do expect the third season to do well, but not THIS well.